ICT City Series Breakfast #2 with Sonia McDonald - "Leading the Way in the Digital World: Embracing a new kind of leadership"
Why is Leadership, and especially authentic leadership, critical today in leading the way in the Digital World? Continuing to develop capabilities required to lead, innovate, co-create and build relationships dynamically in this fast-moving digital age is mandatory. Relying on intuition is not going to go away. That is still the ultimate compass of decision making for leaders. Sonia McDonald will be exploring the 5 keys to a new kind of personal leadership in leading the way in the digital age. 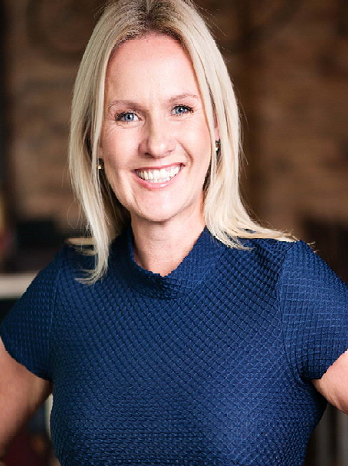 Sonia McDonald is an Australian leadership executive coach and advisor, thought leader, dynamic keynote speaker and author. She’s also CEO and founder of LeadershipHQ, and through this she empowers people to discover their own innate talent and strengths. Named as one of the Top 250 Influential Women in the world, Sonia is shaking up the traditional view of leadership, and along the way she has uncovered some outstanding leadership talent which had previously gone unnoticed. Sonia is internationally recognised as an expert in leadership and strategy, organisational development, workplace diversity and the neuroscience of leadership. She has more than 25 years’ experience in human resource management, leadership and organisational development and has held leadership positions around the world. In her presentations, Sonia shares the story of her own development as a leader, along with leadership tips and techniques she has perfected through working with hundreds of corporate and small business clients and entrepreneurs. Through presentations filled with passion, empowerment and transformational learning, Sonia inspires current and potential leaders to apply her winning strategies to become outstanding leaders.